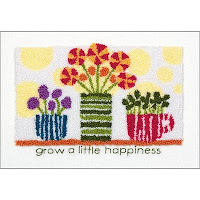 We have three new Punch Needle Kits to share with you today. 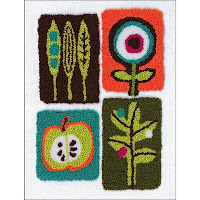 These contemporary punch needle kits from Dimensions feature trendy new designs & updated colors you won't want to miss. You'll find them in the Punch Needle Kits section of the store! Your finished miniature punch needle art will look great matted & framed for home decor. Smaller designs are often applied as creative embellishments to other textile items, such as a canvas tote bag. 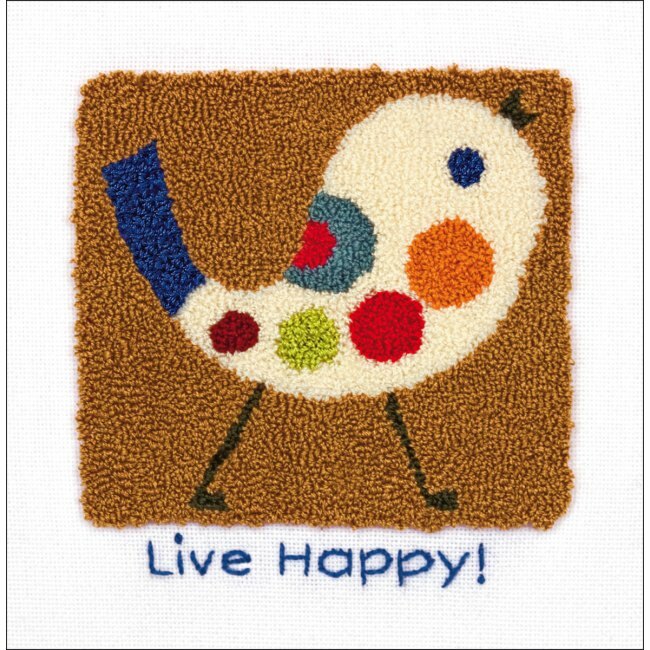 The Fancy Chick Punch Needle Kit makes it easy for you to stitch this sweet spotted bird. 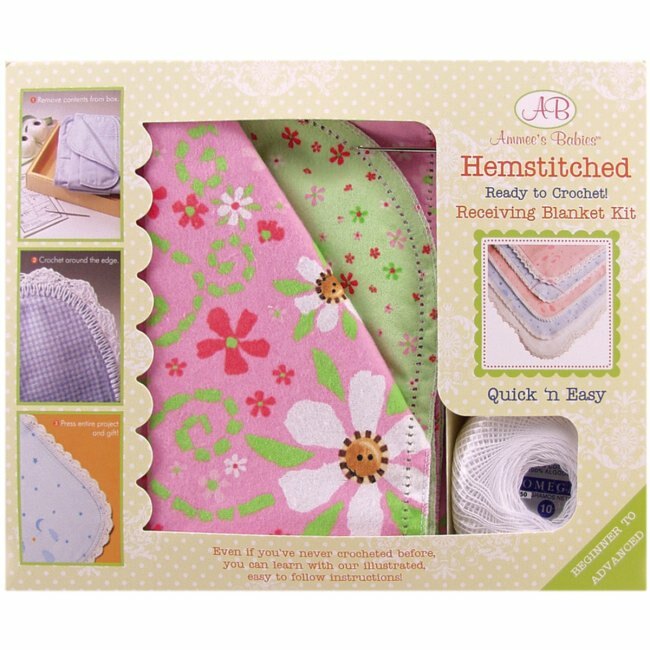 Kit includes cotton embroidery thread, white cotton fabric, and instructions. The thread is pre-sorted and organized for you! Each of the thread colors is clearly identified with a color code number. You'll know which color to use by following the design chart & color key included with the instructions. 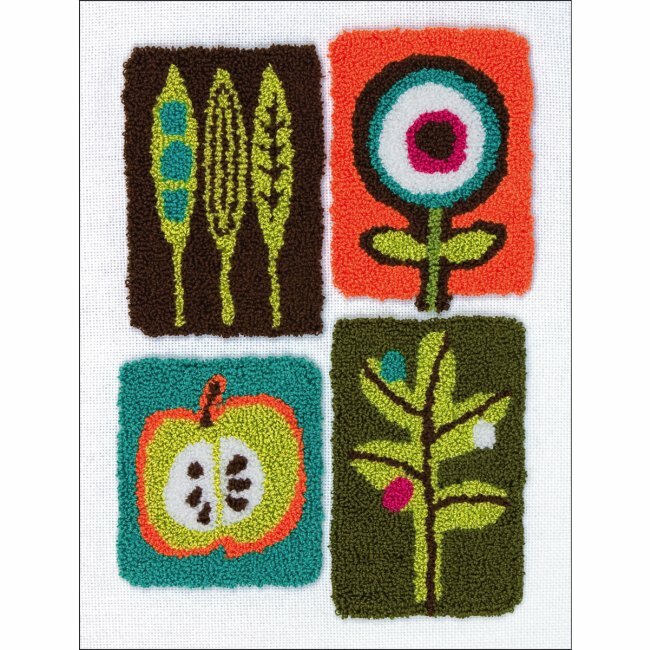 The Nature Collage Punch Needle Kit features artistic nature designs created using natural earth tone thread colors. The finished design is 8 inches by 10 inches. The design is pre-printed in reverse on the back side of the fabric, which is the working side of the fabric when doing punch needle. To push the thread down through the fabric, you'll need a punch tool specifically designed to hold 3 strands of embroidery thread. Dimensions offers an affordable 3-strand Punch Needle Tool & Threader that's easy to use. 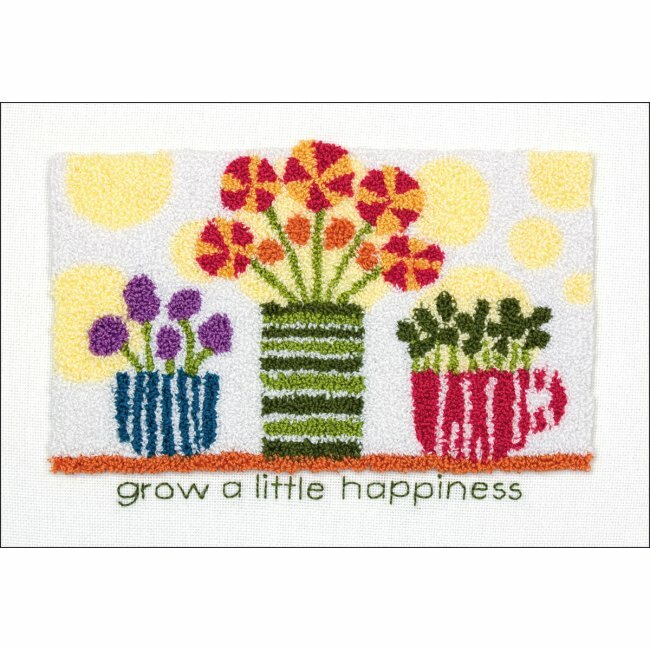 The Dots & Blooms Punch Needle Kit is a creative floral design that is sure to "grow a little happiness" wherever it's displayed. You'll need an embroidery hoop to hold the fabric taut while punching. The size of the hoop depends on the size of the design you're stitching. 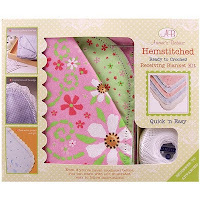 Instructions provide step-by-step guidance, including sections on preparing the fabric, threading the needle, and punch needle basics. You'll learn how to use your punch tool to form small loops on the front side of the fabric. A helpful list of punch needle tips is included. It's a good idea to read through the instructions before you start. Visit the Punch Needle Kits section for details on these kits and to see our complete selection of punch needle kits in a variety of colors & styles. Punch needle kits make it easy for beginners to get started! They're also a convenient option for experienced stitchers. Weekend Kits offers a unique collection of Art and Craft Kits for all skill levels. 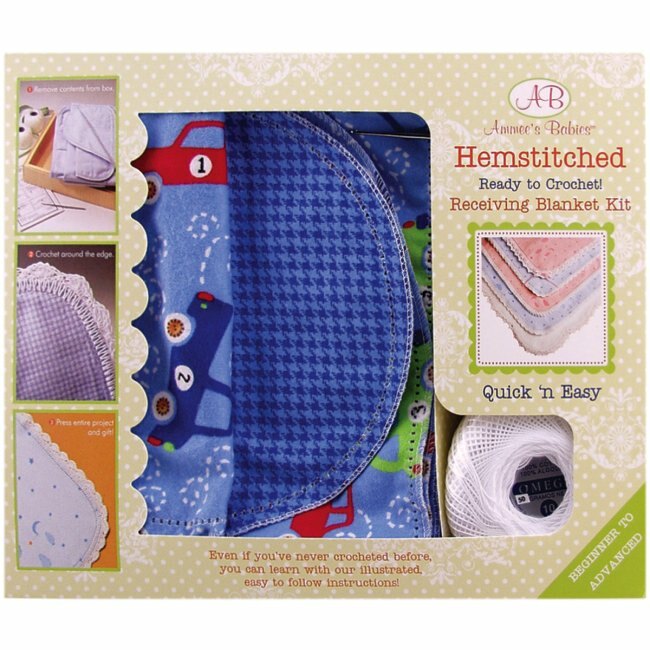 You'll find the best selection of craft kits for adults, teens, and children. Our selection is always being updated with the latest trends & colors in crafting, so check back often to see what's new. Visit us today and be ready to create something new on your next Weekend at Home! You won't want to miss these new additions to the Jewelry Making Kits section of the store. 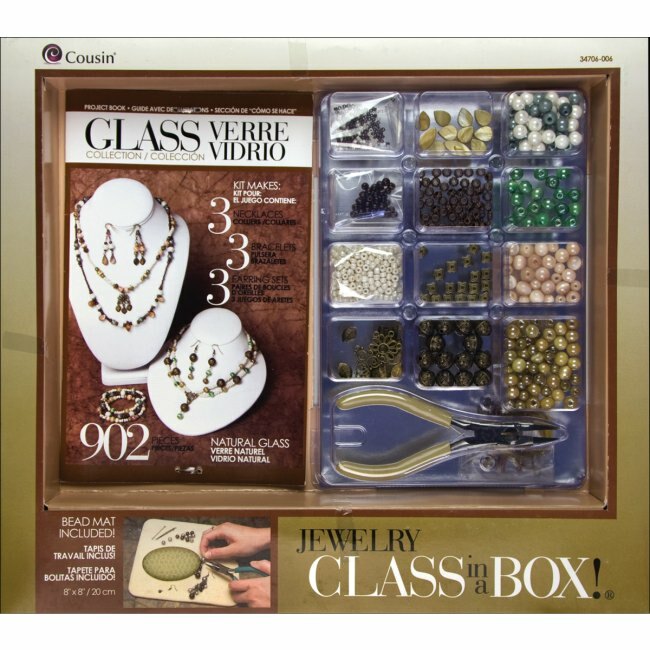 They're all new Jewelry Class in a Box! Kits from Cousin. With 8 new jewelry kit collections in the line-up, it'll be easy to find one that complements your unique style! 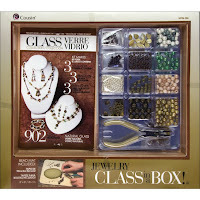 The Jewelry Class in a Box! Kits are perfect for beginners. They're complete jewelry kits with everything you need to learn how to make your own necklaces, bracelets, and earrings at home! Be sure to click on the images below for a close-up view. A full-color instruction booklet provides step-by-step guidance with clear photos & diagrams for each jewelry making technique. A 3-in-1 jewelry tool is included in each of the kits. This convenient tool combines 3 basic jewelry making functions into 1 very versatile tool! An 8" x 8" soft bead mat provides a nice surface for keeping beads & findings organized while designing your jewelry pieces. Each kit includes a coordinated collection of beads, charms, chain, and other jewelry findings. 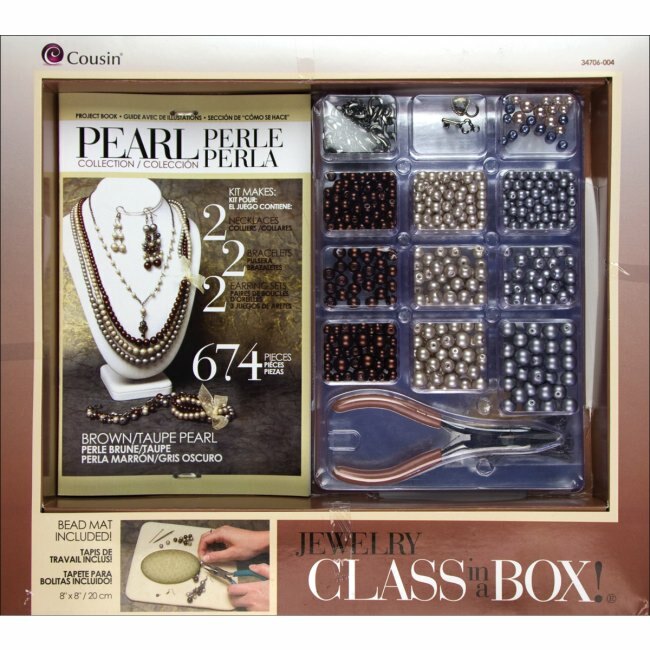 You'll have all the jewelry supplies, tools, and patterns you need to make the unique jewelry pieces shown on the front of the box. 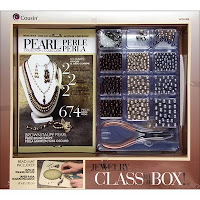 Jewelry Class in a Box! Kits are an ideal jewelry kit for beginners wanting to give jewelry making a try, but not sure where to start. You'll have everything you need to get started making jewelry with confidence! Two of the collections are all about earrings! 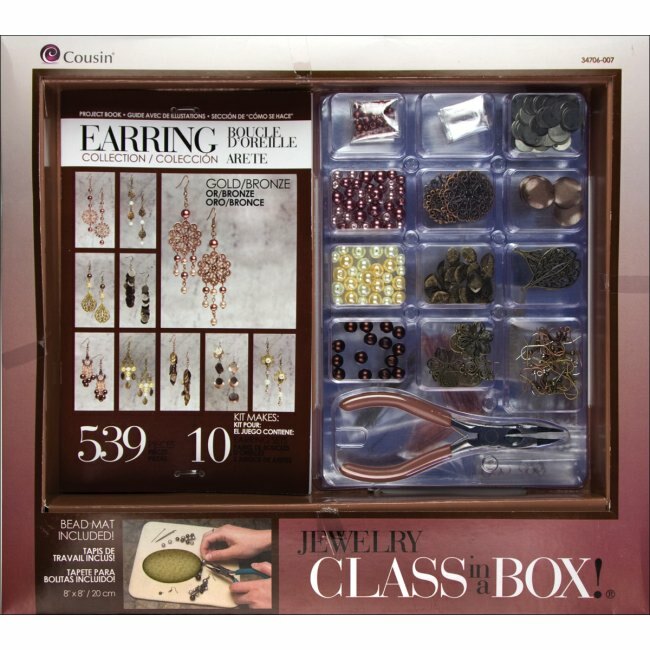 These earring making kits include beads & findings for making 10 unique pairs of earrings. Earrings are a quick & easy jewelry making project. They're also a creative handmade gift giving idea. Surprise your friends & family with your new jewelry making skills! Looking for a fun girl friend get-together idea? Host a jewelry making party! Crafting is a great way for friends to connect while being creative and learning something new together. These complete jewelry kits make it easy, convenient, and most of all fun for crafters to make designer inspired jewelry at home! 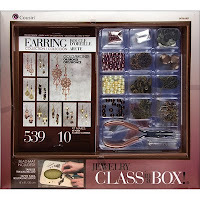 Visit the Jewelry Making Kits section for details on all 8 Jewelry Class in a Box! Kit collections. 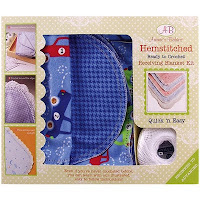 Weekend Kits offers a fantastic variety of Art & Craft Kits for beginners & experienced crafters. Stop by today and be ready to learn a new craft, like jewelry making, on your next Weekend at Home.